Electronic facial cleansing brushes are no strangers to us. I’m certain that in some point of time in your life, you thought of purchasing one. But with so many different brands and variations in the market, how would you know which one works best for your skin? 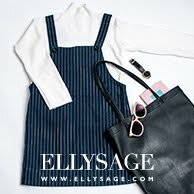 Before I begin to share my thoughts regarding the Clinique Sonic System Purifying Cleansing Brush, I’m sure you’re all wondering what’s the hype with such cleansing brushes. Before I started my journey, I too thought that using cleansing brushes was a waste of time and money. But ever since my first experience, I saw and felt a huge difference in my skin’s health. 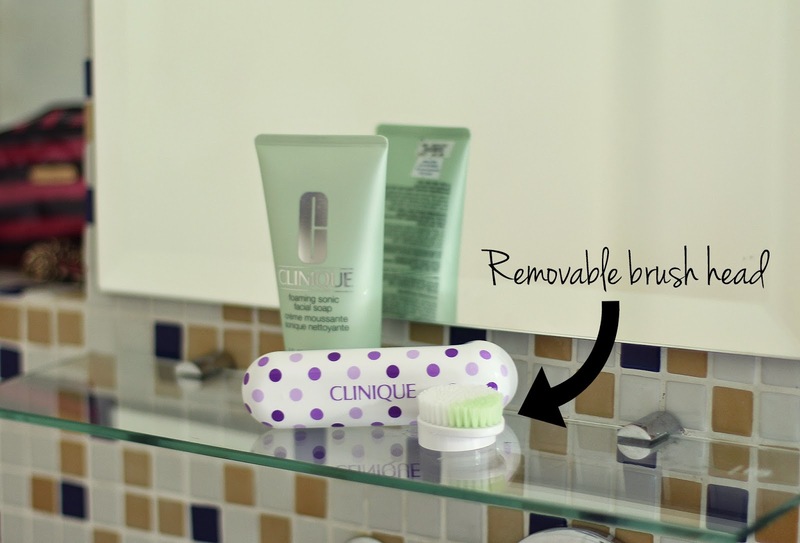 Over the last month, I started using the Clinique Sonic System Purifying Cleansing Brush for a change. First thing that struck out to me was its weight. I was surprised at how light it actually is and how it’s slim body gave me a better grip when it’s in use. Here you’re looking at an adorable limited edition polka dots Clinique Sonic Cleansing Brush design along with the new Sonic Cleansing Soap. 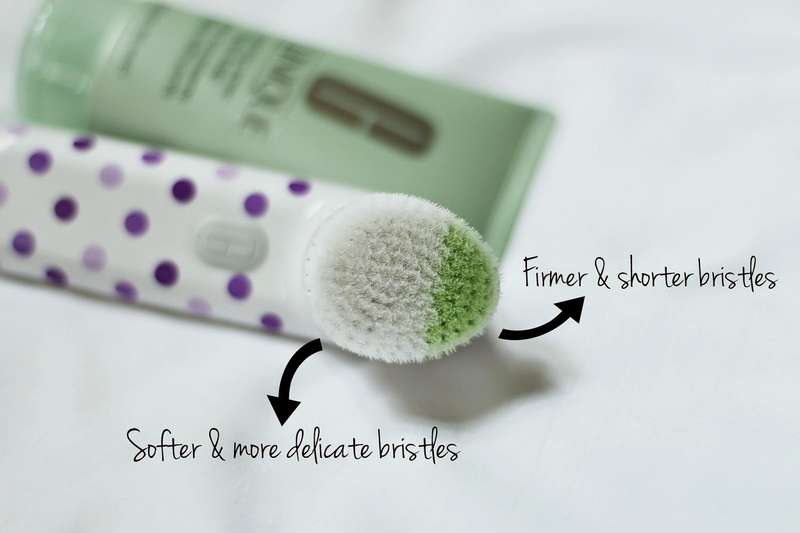 I guess consumers love the Clinique Sonic Cleansing brush so much because it helps to remove oil, dead cells and dust particles from air pollution that we face everyday in Singapore. With a proper cleansing procedure, products that we use after cleansing such as moisturizers are able to work better. Our skins barrier becomes stronger and healthier, which will result in radiant, youthful looking skin. 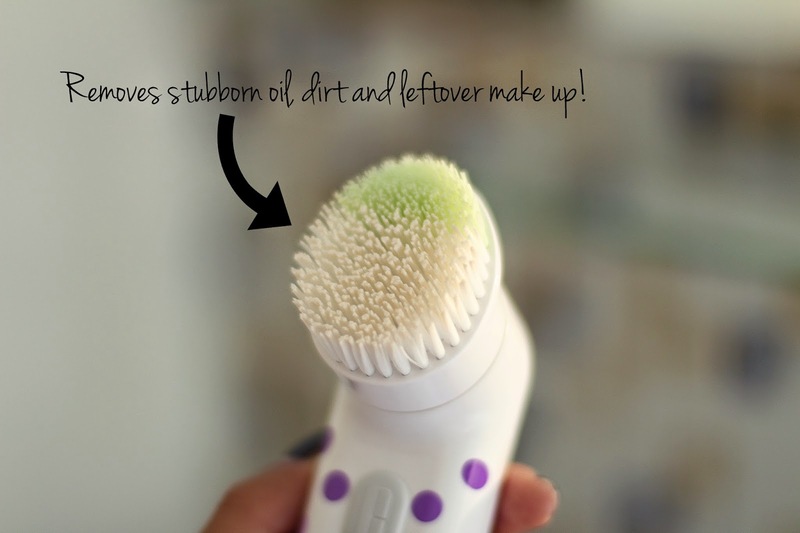 So what makes the Clinique Sonic Cleansing Brush unique? Its oval-shaped brush head was designed to specifically target hard-to-reach areas of the face, such as the corners of our nose, hairline and chin. It consists of two different types of bristles as you can see in the photo above. The pale green ones are angled tips with firmer and shorter bristles that target the T-zone. While the white bristles are a lot softer and less firm, which targets delicate areas of our face, such as our cheeks; which may not produce as much sebum. I like the idea of incorporating two different bristle types in just one brush head so that I can change the intensity of my cleansing routine especially since I have a combination skin type! Another feature that I enjoy about the Clinique Sonic Cleansing brush is that it is waterproof!!! I no longer have to worry about water accidentally coming into contact with it. Hence, I can leave it in my bathroom and never worry about forgetting to bring it with me from my room whenever I bathe. Heard that some people actually use it as a mock microphone for singing in the shower. Hehehe. I had the privilege of trying the Clinique Sonic Cleansing brush with its perfect partner, the NEW Clinique Foaming Sonic Facial Soap. While the brush unclogs pores and removes dead cells, the soap penetrates deeps into the skin and locks in moisture. It’s almost like a 3-in-1 regime where you’re cleansing, exfoliating and moisturizing at the same time. The Foaming Sonic Facial Soap contains a gentle cleansing agent derived from Coconut Oil, which has excellent benefits for our skin. It also contains Sucrose and Caffeine known for their soothing properties, and Glycerin, which helps to prevent drying. At first, I didn’t really understand why the two products had to be used together. But then, I tried using the sonic cleansing brush with my normal cleanser and then again with the Foaming Sonic Facial Soap and felt the difference. With a normal cleanser, my skin felt dry and a little tight. But with the latter, it felt supple and well hydrated. Using the two products together is easy. In fact, I look forward to cleansing my face everyday a little more now because I can leave all the work to my brush. Hehe. Basically, you just need to apply the soap onto dampened bristles and massage it into your skin. Or you can do what I did – apply soap to dampened skin and massage it with the sonic cleansing brush. All you have to do is move the brush in a circular motion all over face for approximately 30 seconds. Once time is up, your brush will automatically switch off so you won’t have to fear overdoing it. Using the angled green bristles on hard-to-reach areas. Using soft white bristles on delicate areas! Here’s picture showing how effective the bristles were in removing any left over trace of make up! There is no way the tips of my fingers can ever do such great work. I can’t believe that I used to cleanse my skin with my bare hands. Thinking about it now made me realize that all those unnecessary breakouts were due to improper cleansing techniques. The brush head is removable so you can change it to a new one once it wears out. A replacement brush head costs SGD$35 while the entire Clinique Sonic System Purifying Cleansing Brush costs SGD$149. I think it may be a little costly especially if you’re still a student. But it’s definitely worth the buy. If I knew about such products when I was younger, I would have saved up whatever I can to get it because it could spare me from annoying and painful acne breakouts. However, if you’re tight on budget, fret not! You may stand a chance to win your very own Clinique sonic cleansing brush by participating in the following contest. Contest dates – 19 March to 1 April, 2 April to 15 April and 16 April to 30 April 2015. Each contest phrase will run for 2 weeks with 3 winners. Did you know that you can shorten your long urls with Shortest and earn cash from every visitor to your shortened links.